The Ravenscourt Park Pre-School, on the Ravenscourt Road side of the Park, has been running for decades as a not-for-profit resource in a community managed by the Pre-School Learning Alliance – a large educational charity and main voluntary sector provider of quality affordable childcare and education in England. The pre-school provides good quality care and education to 2-5 year olds – there is a social mix but it is particularly appreciated by those who can not afford the expensive private nursery schools available locally. The building has hosted a popular one o’clock club for decades, a fathers club and many other local, community and family services over the years. In June 2017, all parents of children at the pre-school were informed that the Pre-School Learning Alliance was planning to close the setting in a matter of weeks due to an unsustainable financial performance. They were very unwilling to see this happen as a significant number of families rely on the school as one of the few genuinely affordable pre-schools in the area. Furthermore they had first-hand experience of the quality of care our children received there and wanted to preserve its nurturing and caring ethos for children to come. Helen Galvin has been instrumental in this initiative and a trustee of the new charity along with Kate Walters and Lorraine Hamid. “It struck us as relatively unsurprising that the setting was not maximising its income. Although its fees are low, it would operate in a financially sustainable fashion if efforts had been made to ensure it was near capacity (i.e. if almost all 20 places were filled with children). However, although this was the case in the past, a lack of marketing meant that there were improvements to be made. 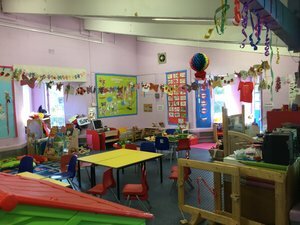 We spoke at length to another nursery in the area which is run by a parent trustee body and were reassured by its business model that it would be possible to run the nursery in a sustainable fashion without raising fees. We also looked into the possibility of applying for grants and other funding, which was very encouraging, and spoke about other revenue raising measures. Three parents came together immediately to start planning what could be done to save the school. Our initial concern was for members of the community who could not afford the much higher prices of many neighbouring nurseries. After much negotiation, we came to an agreement with the Pre-School Learning Alliance to take over the running of the pre-school as a parent trustee body. We have set up a new registered charity (you can find us on the charity commission website here) and began the process to register the pre-school with Ofsted as a ‘new’ school under new management. During this time we were encouraged by the commitment and enthusiasm of the three wonderful full-time staff, all of whom have been working with pre-schoolers in Hammersmith for decades. They were devastated at the thought of the school’s closure and wanted to do everything possible to prevent it. It is also worth noting that during and since this summer, where the future of the pre-school was in real peril, we have been supported by our wonderful community and, specifically, parents whose children attended the pre-school (sometimes many years ago) and who still felt strong ties to the school and its staff. We have spoken to many people in the community who have helped with fundraising and spreading the word, which included gaining local press coverage. We have benefitted from the advice and expertise of those who appreciate the importance of the setting and want to put something back into the community. However, it has become clear from the start that the challenges ahead of us were significant and pressing, and they remain so today. Meeting these challenges is absolutely the difference between keeping the school open (and being able to grow and improve it) and having to let it close, to the real detriment of the community. We urgently need to secure the lease of the building to secure funding for the school and complete our registration with Ofsted. We have identified numerous ways the setting could be better managed and start running in a financially sustainable fashion. But to get to this point needs investment and support from members of our community who appreciate the importance of accessible and affordable, nurturing and dedicated care for 2-5 year olds regardless of the families’ economic status. We have created strategic development and marketing plans to put in place once we have security regarding the pre-school’s future. The pre- school has always enjoyed a good relationship with the Ravenscourt Park Glasshouses and children are encouraged to participate in fruit, vegetable and flower growing. The Pre-school fully utilises its position in the park to appreciate nature. 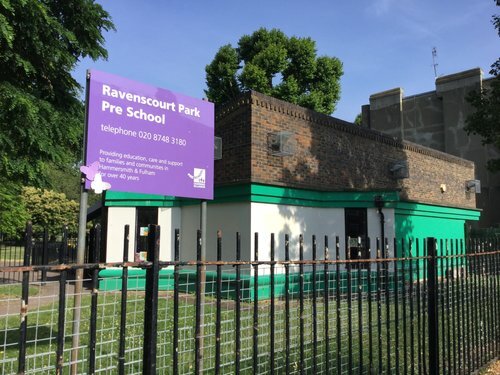 Ravenscourt Park Pre-school has also developed links with the surrounding primary and prep schools and indeed the local and wider community. Up until recently, a member of Queens Park Rangers football club volunteered his time to train the children every Friday morning at the school. Our ultimate aim is to make the pre-school a real hub for the community, with an offering over and above its excellent early years care. We have run a successful crowdfunding campaign, and are planning our next fundraising appeal. At the moment we are over halfway through the Ofsted registration process, and Ofsted are planning to come to visit the setting in the next few weeks. We are doing this will continue to run the pre-school for no financial gain. It is against our constitution to be recompensed for our work on this project. The key here is that the school must stay not-for-profit (i.e. any profits go back into the setting) and affordable. We have been in close contact with the Council’s early years department who have been supportive and helpful. The nursery will continue to offer Early Years Funding (i.e. to eligible 2 year olds, to all 3 and 4 year olds up to 15 hours, and an additional 15 hours to eligible 3 and 4 year olds). 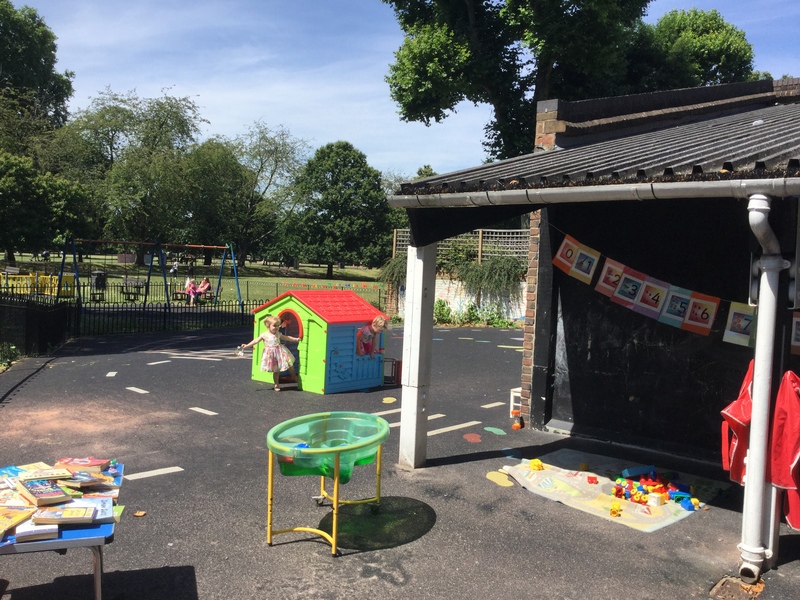 As we understand the situation, this is important for our borough as not all nurseries are willing or can afford to offer these places (especially on the flexible basis that we can offer). Being able to support families in the area in this way is therefore a key objective for us. In order to be able to save this pre-school for the community, we need to have security in the building. The building itself is in need of repair and improvements, and we’d like to be able to make this happen – to this end we’ve been working with organisations such as Groundworks who will be able to help us raise funds to develop the (inside and outside) space making it more attractive to children and the parents, and an even better environment to educate and care for 2-5 year olds. we would like to continue providing this important service would be, we feel, very much worth doing. The pre-school has an incredible amount of potential in its offering both to the area’s children and to the community as a whole. To fulfil this potential we will build on the school’s values which revolve around providing a home from home, educational excellence, and an awareness of, and appreciation for, the importance of nature and the environment. To this end, our ambitions involve creating an outdoor learning environment which will encourage free play outside and will include a space for the children to grow their own plants and vegetables. This will be linked to learning about conservation, healthy eating and sustainability. We are committed to strengthening the school’s links with our local community, especially through parental involvement in lessons (e.g. music and cooking) and in the very running of the school. We will also increase our partnerships with local organisations (e.g. 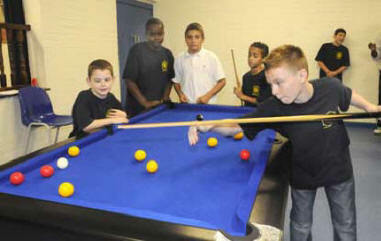 retirement homes, charities, other schools in the area) to ensure connections with members of the local community. Ultimately the school will be an uplifting space to bring people together in a beautiful park setting. We are excited about the potential of an internal renovation, which would include adding more opportunities to let in light and open up views of the park and garden. Such an improvement will allow us to let the building to be used by different groups and individuals (e.g. 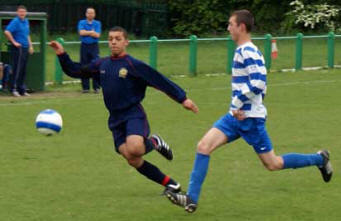 parent coaching groups, children’s clubs etc.) and the space will be re-zoned for the benefit of our children. 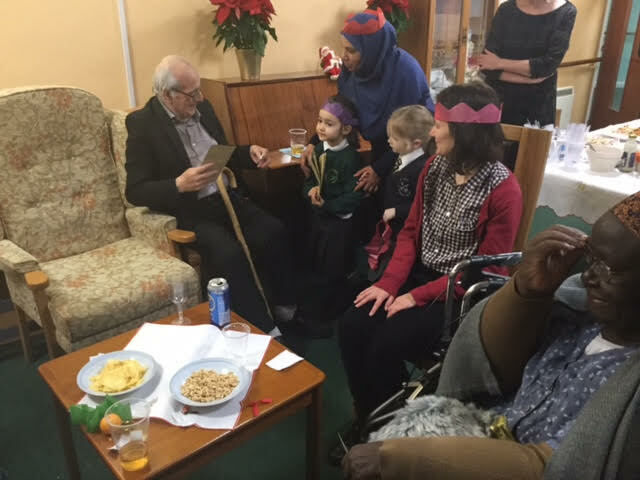 Before Christmas the school visited the Park Court sheltered housing block for a party with elderly residents – see picture below. The bureaucratic delays in sorting out the lease are a typical example of a lack of “joined up Government”. I am pressing for the matter to be resolved as soon as possible so that the pre-school future can be secured. The best is yet to come! Thank you for your email to Andrew Christie, regarding an announcement by Andrew Slaughter MP in the House of Commons that nine children’s centres had been saved from planned closure. It may help to note at Hammersmith and Fulham Cabinet in October 2014, a decision was taken to extend the current arrangements for Children’s Centre delivery, initially for a six month period up until 30 September 2015. This provision was extended for a further six months until March 2016 if required. Following this decision a press release was issued. I have enclosed a copy for ease of reference. The press release included reference to cuts in central funding having led to some concerns about potential reduction in services for Children’s Centres. As far as officers are aware this is the only information that was circulated post the Cabinet decision. Officers are currently working with Children’s Centres to maximise the offer available for children and families at their sites, including where possible progressing the option to offer targeted two year old early places onsite and working with health colleagues to ensure a integrated health offer is part of the local offer. I do hope that you find the above helpful. So in other words there were no plans – from Council officers or the previous Conservative administration or anyone else – to close any children’s centres in our borough. Let alone to close nine. The Labour council has renewed the contracts and continued the same policy. That is sensible of them. But they really should put up or shut up with their allegations about a secret closure plan. Mr Slaughter has form on this. In 2011 he said nine children’s centres were about to close. The same applies to children’s centres. The Brunswick Boys’ Club Trust was established by a Declaration of Trust on 26 February 1945 by British officers held as prisoners of war in Oflag 79, a WWII prisoner of war camp on the outskirts of Brunswick in Germany. As the war approached its end the prisoners of Oflag 79 conceived the idea that they should form a Club for “the boys who will be the Men of Tomorrow and who need opportunities to develop their potential. Let this Boys Club be a memorial to the comradeship we have shared in our captivity and let it be a living memorial to those of our friends who have fallen”. 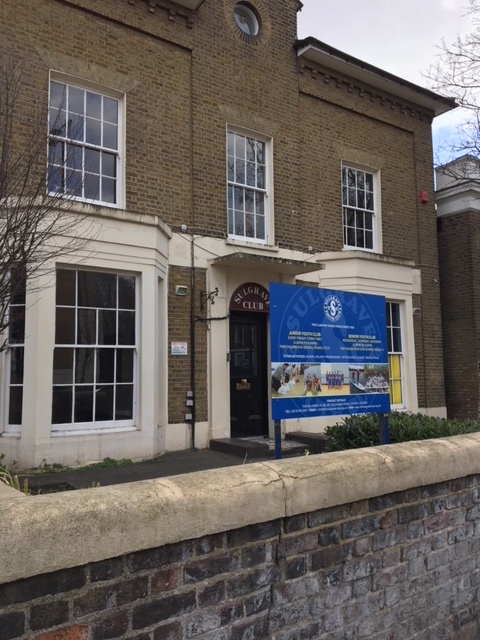 Initially consisting of two Nissen huts, The Brunswick Boys Club (as it was then called) has since been renamed The Brunswick Club for Young People and is now a purpose built youth centre offering a range of excellent facilities and services for the young people of Hammersmith & Fulham. an annual holiday residential to Hindleap Warren Outdoor Activity Centre in East Sussex. The Club is also used regularly by other organisations providing services and activities for children and young people, including the Kixstar Dragon Taekwondo Club, Little Kickers Football Club and the Fulham Junior Chess Club. Providing a range of services six days a week, with a membership of over 600 children and young people and an average daily attendance of 85+, the Club enjoys a good level of support and respect within the local community. 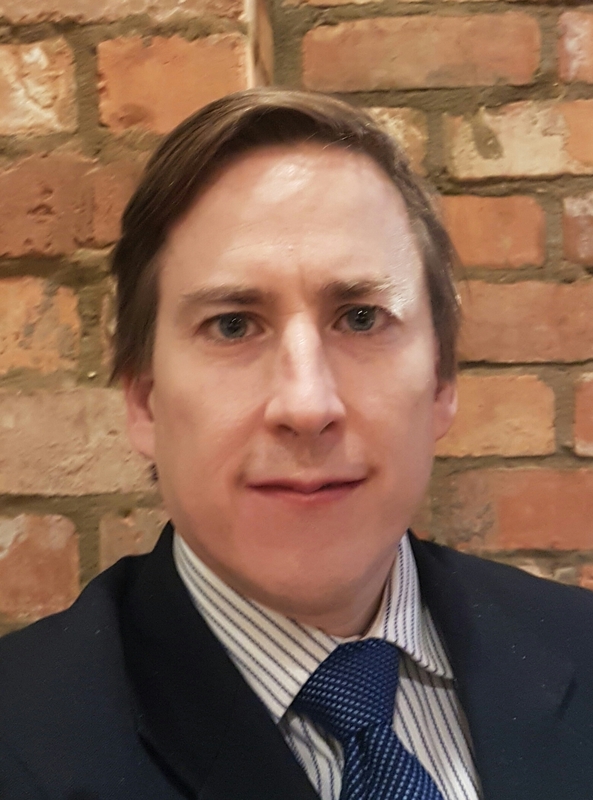 Among the many false claims made by the Labour MP for Hammersmith was that the Conservative-run Hammersmith and Fulham council was going to close nine of the 15 children’s centres. He specifically said they would close in July 2011. There would just be the “shell of a building”. In fact the number increased from 15 to 16. The number of sessions at them has doubled. They have more visitors than before. At the same time there has been greater specialisation for those with complex needs. To say that nothing is taking place – that nine of these centres is “just a shell of a building” is not only dishonest but insulting to the fantastic work that goes on there. Labour’s council election manifesto was more mildly insulting talking about “their aim of re-establishing an effective Sure Start service” implying that the service being provided was ineffective. The reference to “re-establishing” was also odd – implying that earlier provision was the model to aim for even though there were fewer visitors and less specialist help. Anyway Mr Slaughter’s claim that nine children’s centres closed is not shared by the Labour councillors who now run the council. “Contracts to operate Hammersmith and Fulham’s 16 children’s centre sites are due to expire on the 31 March 2015 and do not contain any provisions allowing for contract extensions. Given the financial value of these services, the Council’s Standing Orders (CSOs) would normally require a competition to be run to determine the award of new contracts. Due to the recent change in administration, the future shape of the services, including any strategic role the new administration sees the service playing in the delivery of key objectives and priorities, is not yet fully defined. To undertake a full scale procurement exercise at this time would therefore not be sensible. based on an informed, evidenced and costed options paper. These options could include a review of the use of existing sites, staffing structure and delivery models. I am pleased the arrangements are being extended for another year. However there will be considerable uncertainty as to what will follow. If there will be genuine improvements then, of course, that will be welcome. Still at least Labour now seem to accept that the 16 children’s centres – they are listed here – are not figments of the imagination. No doubt Mr Slaughter will be anxious to apologise for his misleading claim.